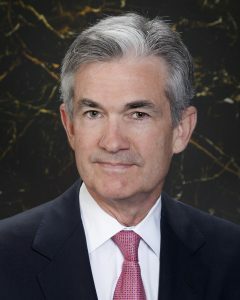 Was Jerome Powell, former Carlyle Partner and current US Fed Chair, selected for the upcoming bust? The whole dynamic between the Trump regime and the US Fed’s Jerome Powell has the feel of a scripted show. 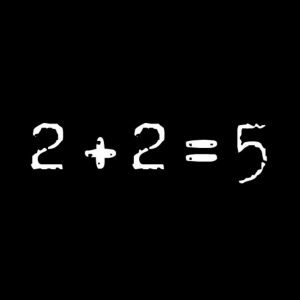 Both sides seem to be at odds with one another and I have to conclude that this cannot be by chance. The opposing sides of this kayfabe match are being willfully ignorant and the match does not seem genuine. In professional wrestling, kayfabe is the portrayal of staged events as “real” or “true”, specifically the portrayal of competition, rivalries, and relationships between participants as being genuine and not of a staged or predetermined nature of any kind. Kayfabe has also evolved to become a code word of sorts for maintaining this “reality” within the direct or indirect presence of the general public. If the US Fed followed its mandate in a disingenuous way it has every reason to continue tightening monetary policy. Unemployment is at 50-year lows and economic growth is above trendline by at least one full percentage point. The new fiscal stimulus and tariffs are helping to build inflationary forces. But the current expansion is perhaps the longest in modern history, so any monetary policy restrictions could cause an asset market correction and/or recession. The same critics of the US Fed in the alt-financial media who have been dispensing terrible financial advice for over a decade and were excoriating Ben Bernanke’s QE programs for creating the asset bubbles are now criticizing the Fed for tightening and perhaps causing future market crashes. 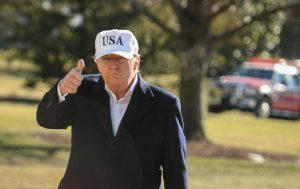 The difference this time is that President Trump has joined in and much of the alt-financial media supports President Trump. Trump also said it was “too early to tell, but maybe” he regrets Powell’s nomination. To those supporting Donald Trump in his “fight” against the US Fed, please understand why Trump is criticizing the Fed. Trump doesn’t want to get rid of the Fed, he wants the zero rates that President Obama enjoyed. Trump hopes that the party continues. Essentially, the alt-media and compromised market shills like Jim Cramer want the US Fed to continue its dovish policy. Is it America First or NWO First? Here is the bottom line. Nothing can be done to reverse the effects of seven years of zero percent interest rates without asset price adjustments. The asset bubbles are now enormous and must reverse. The more time that goes on the worse the conditions will become. President Trump has only exacerbated the dilemma by creating about $500 billion a year in new and ongoing fiscal stimulus at the worst time. Had President Trump not embarked on such an ill-timed fiscal stimulus program the US Fed’s job would be much easier as it would not be as motivated to tighten monetary policy. So, I submit that Powell is the fall guy for the US Fed and Trump has once again helped to turn monetary and fiscal policy into a pro-wrestling match. In a pro-wrestling match, the handlers on both sides need to know about the fix. The Former Fed chairs, especially Janet Yellen, would not have been up to the task as they would have asked too many questions, but Powell seems willing and capable. Furthermore, the audience needs to suspend the reality that the match is fixed. The elites know that power and wealth are consolidated during market busts and perhaps are ready to pull the plug once again. Maybe the elites have new types of QE programs on tap to enslave humanity, but a diversion was needed to help politicize the problem. Enter Donald Trump. Let me lay the groundwork as to why I think that a conspiracy of epic proportions is under way right now that will strip much of the population of its wealth. Moreover, the fallout from the scenario I describe below will also help the elites to hoist its next monetary system on humanity. None of what is going on is by chance. Let’s connect the dots. First, the elites know that they have exhausted all current avenues to boost the economy through central bank monetary policy. The major central banks, headed by the US Fed, have embarked on unprecedented programs to help kick start the global economy. It assisted on the margin, but the quantitative easing programs only prolonged the inevitable under the current system. Second, the Trump regime embarked on a massive counter-cyclical fiscal stimulus program, and it’s effects are coming at the height of the asset market cycle and during a period of prolonged economic expansion. Normally, the federal deficit should be shrinking as tax revenues increase and social spending falls. This has resulted in much higher US Treasury issuance at a time of low unemployment and rising prices from higher tariffs and economic growth. The concerns over the estimated $1 trillion deficit this fiscal year is pushing up longer-term bond yields and mortgage rates. Third, The whole irony is that the rising yields on US sovereign debt caused by the artificially juiced economy are putting upward pressure on the value of the US dollar. This is causing growing economic dislocations in many of the emerging markets as many entities in these areas borrow in dollars. The logic of this straightforward as financing in US dollars tends to lower debt service costs and can often provide better terms. However, anyone borrowing in dollars is effectively shorting the US dollar, thus a stronger dollar is causing emerging markets to unravel. Trump’s platform is truly an America First policy. Fourth, Enter Fed Chair Jerome Powell, a person that has suddenly turned hawkish at the worst time. This is why I find the selection of Jerome Powell somewhat peculiar. However given his background and President Trump’s proclivity for hiring Bush and Clinton retreads I shouldn’t be that surprised. If Trump truly wanted a dovish Fed he would have been better served if he kept Janet Yellen on as head of the Fed. Until last year, Jerome Powell was known for being slightly dovish or neutral. He certainly was not known for being an inflation hawk. Something has changed since he was selected as head of the Fed…. This kayfabe match is much more complex than what goes on in the ring and the main players may not even know their roles. However, their handlers (the elite of the NWO) do, and they place their players in positions of power and let the game play out to their liking. Throughout history the elites consolidated their wealth and power during market crashes and asset cycle busts. If the elites want an upcoming catastrophe, the elites could not have picked a better Fed Chair than Jerome Powell. First, let’s take a look at the highlights of Jerome Powell’s professional background. Powell oversaw the investigation and sanctioning of Salomon Brothers and was also involved in the negotiations that made Warren Buffett the chairman of Salomon. Between 1990 and 1993, Powell worked in the United States Department of the Treasury, at which time Nicholas F. Brady, the former chairman of Dillon, Read & Co., was the United States Secretary of the Treasury. In 1992, Powell became the Under Secretary of the Treasury for Domestic Finance after being nominated by George H. W. Bush. During his stint at the Treasury, Powell oversaw the investigation and sanctioning of Salomon Brothers after one of its traders submitted false bids for a United States Treasury security. Powell was also involved in the negotiations that made Warren Buffett the chairman of Salomon. The Carlyle Group is well known for its connection to the Bush/Clinton cabal members and neocons. Carlyle was founded in 1987, just in time to make billions off the commercial real estate bust. It seems the Carlyle Group has a knack for capitalizing on distressed asset markets and it is during these periods that Carlyle’s expertise excels. Perhaps he was selected to be the fall guy for the increasingly criticized Fed. Perhaps his role is to continue raising rates and tightening policy until the system finally breaks. If this is the case then his hawkish policy moves make perfect sense. I am not proclaiming that Mr. Powell is intentionally pursuing a tighter monetary policy on purpose to collapse the economy, but it seems odd that he has decided to embark on a monetary policy without interacting with President Trump. Perhaps his elite handlers are demanding this course of action. After all, the great wealth is created when there is blood in the street. Many of the alt-financial prognosticators who got it wrong all decade long are advising their readers to short the markets. The problem is that this strategy is becoming an increasingly lopsided plan of action by the ticket holders to this kayfabe Trump/Powell performance. The same people who were buying bitcoin last year now believe that shorting the markets is the next sure thing. Ask yourself these questions. What happens if the US Fed reverses course? What if the Fed comes out and says they may hold off raising rates? What will happen to your short position? Your trading accounts will instantly become insolvent. What if the economy and many asset classes collapse, but the Dow rises to 40,000? It could happen if the dollar receives a safety bid. In any kayfabe match the outcome may already be determined, but the members of the audience are the only ones in the dark.